What is liver fibrosis? What can be the effects on the long term? Fibrosis is the term used to describe mild scarring in the liver. It occurs when the liver is repeatedly or continuously damaged or inflammed1. Any chronic aggression of the liver will cause a fibrous scar of the hepatic tissue. This hepatic fibrosis constitutes a healing process replacing the damaged liver cells. This is reversible if the reason of the disease is treated and if the injuries are not too severe. Then, the liver can regain a normal structure. 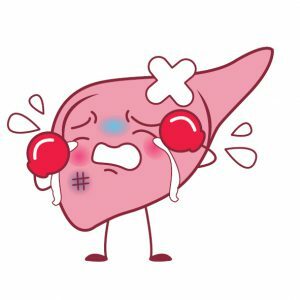 Therefore, it is essential to know the level of fibrosis of someone’s liver in order to establish a diagnosis, and an appropriate treatment to ensure follow-up and efficiency. This fibrosis prevents the proper functioning/operation of the liver and does not exhibit any particular symptoms. Scar tissue replaces damaged liver cells, but has no useful function for the organ. This tissue can interfere and hinder blood flow to and from the liver, which limits the blood supply to the liver cells. Scar tissue can be found throughout the liver, destroying the internal structure of the organ, affecting its ability to regenerate and function. This severe scarring is called cirrhosis.